Here are some facts about Samuel Pepys. 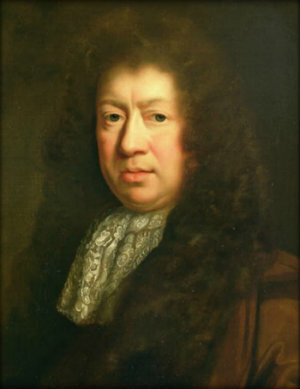 Samuel Pepys was a British Member of Parliament, and Chief Secretary to the Admiral. He is famous for his diary, which provides an accurate picture of life in England in the 17th century. He was born in London in 1633 and died in 1703. During his lifetime, he played several musical instruments, and was interested in the theatre, books and science. Pepys started his diary in 1660, writing in it daily for almost 10 years. He wrote about his daily life as well as historic events such as the Great Fire of London and the Plague. Samuel Pepys married a young woman and the couple often argued. He wrote in his diary in different languages in case his wife tried to read it. Samuel Pepys suffered from bladder stones from an early age and was constantly in pain. He was operated on in 1657 and for several years afterwards celebrated the anniversary of the operation. Pepys wrote about the Great Fire of London in his diary, which started close to his home. The fire destroyed over 13,000 homes and almost 90 churches. The famous diary was first published in 1825 and has been reprinted several times. The diary is still in print today, both in complete and edited versions. During the Great Plague of 1665, Pepys suggested that the naval offices be moved out of London and he chewed tobacco to fight infection. An estimated 100,000 people were killed by the Plague. In Seething Lane in the City of London, there is a statue of Samuel Pepys. There is also a plaque on the wall in nearby Salisbury Court where he was born. Pepys had a large collection of books, which survived after his death. His collection included over 1800 printed songs, 60 Medieval manuscripts and the personal diary of Sir Francis Drake. i loved this fact thing. it really helped me when i was doig research on samuel pepys. keep up the good work.